GÖTA COURT OF APPEAL. The Attorney General wants it to be illegal to express oneself in a positive light with regards to National Socialism. The following is the closing argument of Fredrik Vejdeland, who spoke in his own defense, in favor of National Socialism before the Göta Court of Appeal on Friday, 2015-01-30. 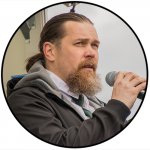 On Friday the 30th of Janurary 2015, Fredrik Vejdeland stood on trial at the Göta Court of Appeal in Jönköping, accused of “hate speech”. Vejdeland, the editor of the news website Nordfront.se, had been accused and convicted for the publishing of “hate speech” in the form of several comments and in an article. The criminalized expressions include: “Long live National Socialism”, “Long live Hitler”, “Death to ZOG,” “Crush Zion” and “Adolf Hitler, the greatest folk hero of modern times.” The prosecutor for the Attorney General, Fredrik Ingblad, built the case on straw men, using “fact interpretation” and other rhetorical tricks with which he managed to manipulate the court. Ingblad granted himself interpretation rights and gave his own biased definition of National Socialism and what it stands for with the intention of convincing the court that Nordfront stands for racial hatred, racial persecution and extermination-genocide, because we share the same -ism with others who have allegedly stood for this. 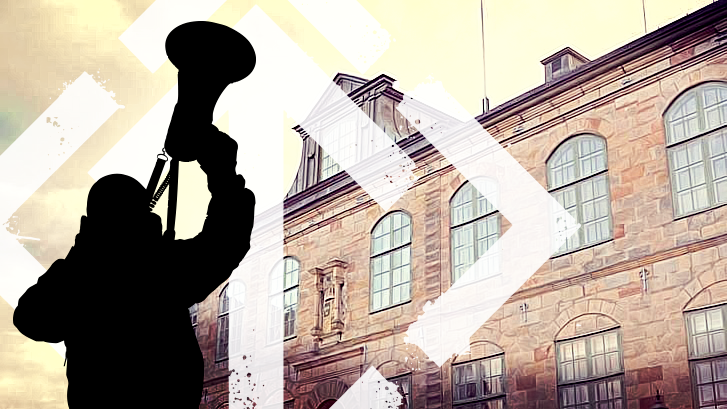 When the phrases in question were now being presented in a new trial at the Court of Appeal, Vejdeland chose to give a lengthy speech in order to properly explain not only what National Socialism stands for, but also what Nordfront stands for, what we represent and our intentions behind the words and ideas that we support. 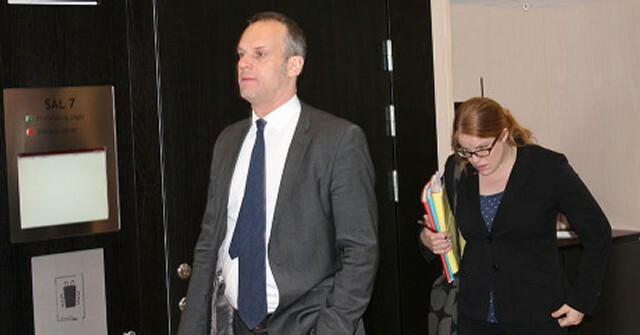 Following the closing statements of both the defense attorney, Björn Hurtig, and the interrogator Fredrik Ingblad, Fredrik Vejdeland was permitted to conclude the arbitration. A visibly annoyed Ingblad reacted strongly to the court for allowing Vejdeland to hold his speech. Ingblad interrupted Vejdeland, claiming he felt personally attacked, but was subsequently reprimanded by not only a member of the courtroom audience, but by Vejdeland himself, and the judge presiding over the case. Firstly, I wish to inform the court that the case against Nordfront presented by the Attorney General is politically motivated. For us it is obvious that the Attorney General wants to move forward to ban an entire ideology. But because it goes against the constitution to prohibit ideologies, the Attorney General and prosecutor Ingblad aim to prohibit any mentioning of this ideology in a positive light – which essentially leads to the same thing. For each trial, he refers to an earlier trial in which another expression has been banned. And this case is very much a part of this jockeying for increased censorship. Just one day after the Örebro District Court made it illegal to call Hitler a folk hero, the District Attorney’s office began a new investigation concerning a sticker with a picture of Hitler; a picture of a relaxed Hitler in a pleasant office environment, sitting at a table with a vase of flowers beside him. According to Ingblad, this represents hate speech. This sticker was shown to the court. I am sure that if the District Court bans this sticker, and you find me guilty today, then this will lead to further jockeying for increased censorship. The next steps for the Attorney General would certainly be to prosecute the writers and publishers of all articles that present or discuss National Socialism in a positive light, and ultimately make it impossible, in principle, for a National Socialist to advocate for their own ideology. One day you must put a limit on how much one can abuse the legal system – I suggest that it be today. I would like you to sit and think about whether it really should be illegal to call any political leader – regardless of ideology – a folk hero. In my opinion – one I share with many others – Josef Stalin was a mass murderer. But I would find it absurd if someone was convicted in a court for having praised Stalin in general terms. And if a member of the Communist Party pays tribute to Vladimir Lenin, in general terms, I have to assume that the person in question is not advocating the mass murder of millions of Christians, rather that there is some other reason for honoring Lenin. It would be equally unsound to assume that all leaders of democracies are mass murderers based on the actions of Winston Churchill and Franklin D. Roosevelt and their terror bombings of German cities – in the name of democracy. 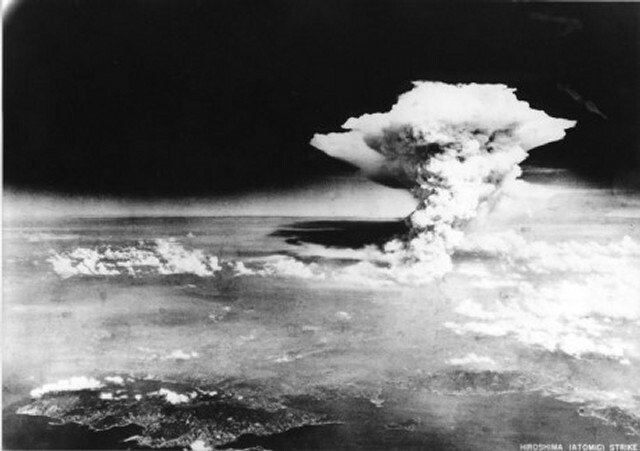 Or because Harry S. Truman dropped multiple atomic bombs on Japan – in the name of democracy. Or because George W. Bush has been behind 1 million dead Iraqi civilians in a war waged – in the name of democracy. Dresden 1945. German civilians intentionally targeted through bombings by the Allies. You must yourselves realize how absurd this indictment is. How can a general honoring of Hitler lead to a conviction simply because someone else is guessing that this general tribute is about the celebration of a specific three-year period during the 56 years of Hitler’s life? I am referring to the three year period that the holocaust was supposed to have taken place. If we, at Nordfront, had earlier praised the Holocaust it would have been a different matter. In that case, Ingblad’s claims would have had some bearing, but then of course, we would already have been convicted of “hate speech” on the basis that we were espousing mass murder. We have never done and will never do so. 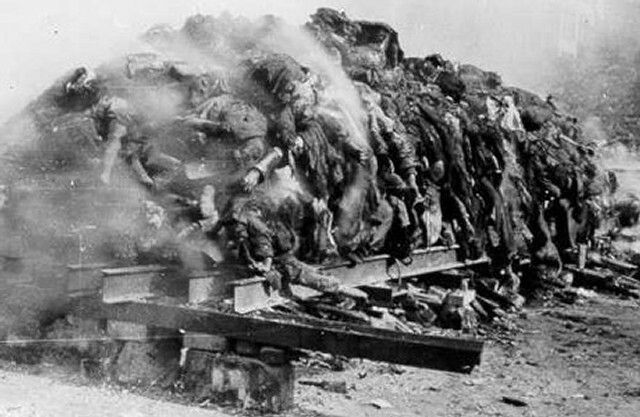 It may also be relevant to this case that we believe that the so-called Holocaust – that is, the systematic extermination using gas chambers – never took place. I will not bore you with a long elucidation regarding the Holocaust, but as lawyers, you must surely see that there is no technical evidence that it ever took place. There is no documented orders nor are there any autopsy reports indicating that even one Jew was gassed to death. According to our beliefs, the Holocaust was war propaganda for the victors in order to demonize the enemy, get them convicted at the war trials in Nuremberg, and draw the focus away from their own war crimes. Additionally, the Holocaust has always been a profit making industry for Israel. In 1975, Israel’s first prime minister, David Ben-Gurion, said that half of Israel’s infrastructure was built on German war reparations money. And long after the war – not least today – the so-called Holocaust continues to be used as a political weapon to protect a certain group from criticism. And this political weapon is being used even today in this court case. I am not permitted to criticize the Jewish influence in Western countries without Ingblad playing the holocaust card in a completely irrelevant context. If the “Holocaust” had taken place – if irrefutable evidence came forth that it had occurred – I would be the first to admit I was wrong. But – and here I want to be extra clear – even if it had occurred, it has nothing to do with the National Socialist ideology and nothing to do with our attitude towards Hitler’s political and social achievements for the German people. On the official website of the EU, Winston Churchill is described as one of Europe’s founding fathers and a “visionary leader”, without whom we would not today find ourselves “living in the realm of peace and stability that we take for granted.” The EU does not once mention Churchill’s terror bombings of German cities like Dresden and Hamburg nor do they mention the joint decision with Truman, Stalin and Chiang Kai-shek to employ the atomic bomb on Japan. So if the EU is permitted to describe Churchill as “a man of peace”, then Nordfront must have the right to call Hitler a folk hero. A few days before we published the article that called Hitler a folk hero, we published another article that praised Hitler, clearly defining upon what the tribute was based. This article was also reported to the authorities, but the Attorney General did not pursue it, which lead us to believe that it was consistent with the law to describe Hitler in a positive light, even in a general way. This is not the first time we have written about Hitler’s social policies which not only saved the Germans from the catastrophic situation in which they found themselves, but also helped the world to create political and social systems that have been to the benefit of many peoples, not the least of which are the people of Sweden. I should be able to conclude my argument here and trust that you, the lawyers representing the constitutional state of Sweden, will understand that one cannot be judged for the content of a written article which in general terms honors a person “X “as a folk hero – be it Hitler, Roosevelt, Churchill or any other actual or alleged war criminal. But because the Örebro District Court actually indicted me for this, and even had the nerve to claim that the verdict was “consistent with the law of the constitutional state”, I must clearly explain what our ideology is about – for us. It is relevant to this case that I provide an overall picture of National Socialism, and that our view of it – not just Ingblad’s – is presented to the court. Up to this point, I have been convicted because Ingblad has utterly fooled the lay judges of the Örebro District Court by presenting his own false picture of National Socialism and through the clever use of rhetorical tricks. Ingblad is an expert in making use of what is called “guilt by association” as well as that which is called “argumentum ad populum”. Simply speaking, Ingblad states that because I am a National Socialist and Hitler was a National Socialist who gassed Jews, then I must also want to gas Jews – “guilt by association”. 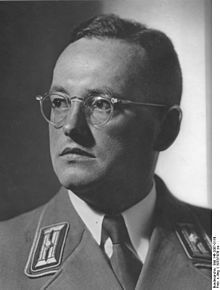 Ingblad also refers to the so-called people’s prejudices and assumptions about us and believes that it should be enough for a legal conviction if outsiders might perceive the general positive mention of Hitler as an indication that I am in favor of racial hatred and extermination – this is “argumentum ad populum”. In one of the trials against us, Ingblad actually invented a new legal concept which he calls “fact interpretation”. This is obviously a refined version of “guilt by association”. Because we share the same -ism as Adolf Hitler – this is a fact – then this should be interpreted to mean that we are supportive of racial hatred, racial persecution, and the extermination of other races, when describing Hitler as a folk hero on our website. “When one pays tribute to what happened during the Third Reich and Adolf Hitler and German National Socialism, then it is hate speech. … and what he stood for there is no possible mistaking, it is about racial hatred and racial persecution, a persecution and extermination of other races than the Nordic. First, Ingblad says that “When one pays tribute to what happened during the Third Reich and Adolf Hitler, then it is hate speech.” Then he continues by saying that what happened constituted racial hatred and racial persecution and extermination. But Nordfront has NEVER celebrated these things, although Ingblad claims we have. Also noteworthy in this short excerpt from Ingblad’s argument, are two of the rhetorical tricks I have mentioned. First, Ingblad says that there is “no possible mistaking” what Hitler stood for, thereby making himself the mouthpiece for all people – this is “argumentum ad populum” and is completely biased. Then Ingblad speaks about the context, that we from Nordfront must be for extermination because we share the same -ism with Adolf Hitler – this is “guilt by association”, or, as Ingblad prefers, “fact interpretation”. These terms – “guilt by association”, “argumentum ad populum”, “fact interpretation” – all belong in one of George Orwell’s books, and not in a constitutional state like Sweden. The ideology of National Socialism is something quite different from what Ingblad presents. National Socialism as a political movement, arose in Germany about 1920. But National Socialism as an ideology, as an idea with ​​ideological points, was created ten years earlier in Sweden. 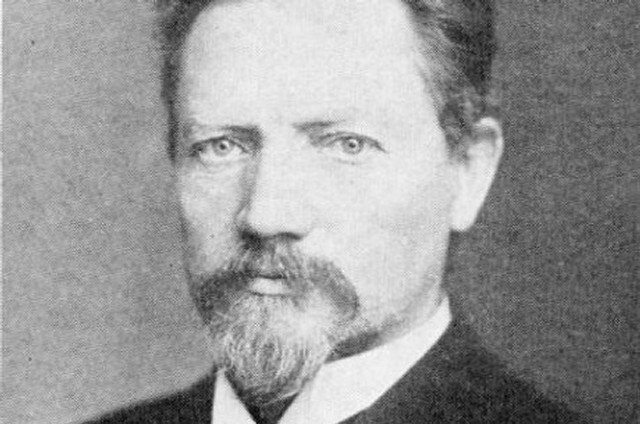 This National Socialism was formulated by Rudolf Kjellén, a political scientist known as the father of geopolitics and much more. Kjellén spoke about the importance of a national sentiment among its people. He said that the state is organic and consists of the people – that is a race – and that all classes of the people work together to eliminate social injustices. Kjellén called this “national community” and it was a critical element of what he termed National Socialism. Kjellén spoke in terms of cooperation within ones own ethnic group, but he did not speak of hostility towards other ethnic groups or races. The one does not automatically lead to the other. Super Nazi Rudolph Kjellen – deceased before the Third Reich came into existence. That which is most misunderstood about National Socialism, is its views of the world’s different races. It has been questioned whether the fundamental principles of race in the new world theory would not lead to an imperial perspective, and even contempt for people of other races. On the contrary; it is precisely these principles which offer the best guarantee of mutual tolerance and for the peaceful cooperation of all. We appreciate the fact that other races are different from us. This scientific truth is the base, the motivation and, at the same time, the obligation for all racial policies, without which would, in practice, make a restoration of Europe impossible. Whether the other race is ‘better’ or ‘worse’ is not possible for us to judge. For this would require us to exceed our own racial limitations during the time it would take to judge, and assign us a superhuman, even divine, attitude, and the divine is the only one who can give such an assessment of the value or lack thereof of the many forms of life in the inexhaustible natural world. And if National Socialism wishes to see the mixing of blood between individuals prevented, there is nothing in this to suggest contempt. After all, we Germans, ethnically speaking, are mixed. The National Socialist requirement is simply that the lineage of the blood and the biological laws should be considered more carefully in the future. We do not want intermarriage between our people and foreign races because with such a mix of blood, the best, and most distinctive characteristics of both races are lost. But we will always be welcoming towards all guests who want to visit us, regardless of whether they are from a related or a foreign society, and our views on race give us a deeper appreciation for their basic characteristics in the same way that we wish to be recognized and respected for our basic characteristics. These are the exact words of the man responsible for Germany’s official racial policies. This is the way in which the government wanted their people to view this matter. And this is the same view that I have and that is held by Nordfront. National Socialism is simply about the preservation of one’s own race and own culture. This is why we are against multiculturalism, because multiculturalism insists on the mixing of races and cultures, thereby making them into a gray mass of rootless individuals who can more easily be controlled by those in power. 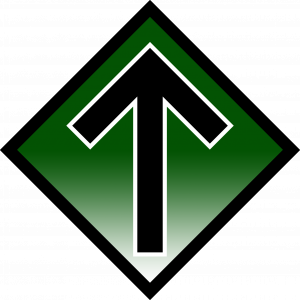 My opinion, the opinion of Nordfront and the opinion of National Socialism, all provide the foundation for the right for all races to exist. If all nations were to follow the racial policies as formulated by Dr. Walter Gross, the world would consist of free, independent and homogeneous states that cannot be controlled as easily by a small, globalist, power-wielding elite. Sweden would generally be Swedish, Japan would be Japanese, Congo Congolese etc. And we would definitely have less friction between peoples and nations compared with today, where millions of people referred to as migrants are moved around and dumped in places where there are already people with an established way of living. Dr. Walter Gross, appointed by Hitler to lead a racial policy that promoted biodiversity among people. It is not about racial hatred, rather it is about the fact that the mixing of peoples creates friction between these peoples and the result is that the best and most distinctive characteristics of both races are lost. I am proposing the protection of the uniqueness of all races, and the preservation of the Earth’s diversity. This explains why I am as far from being a hater of other races as one can be. Regarding the German attitude towards the Jews, it is true that the Jews were regarded with suspicion. But this had nothing to do with ideology, rather it was based on the experience of Jewish influence in Germany and how this influence was used. During the 1910’s and 1920’s, there were several communist uprisings in Germany whose official purpose was to destroy the German nation and pave the way for the world communist revolution. The Spartacus Uprising, the Hamburg Uprising, and the November Revolution of 1918-1919 were all led by Jews. 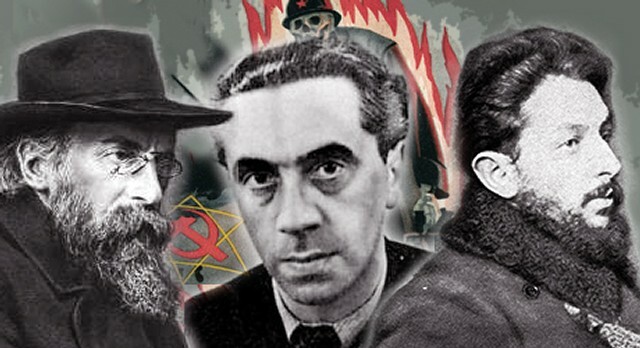 The Bavarian Soviet Republic, which came into being following another such rebellion, was led by three people – Kurt Eisner, Ernst Toller and Eugene Levine – all of these were Jews. Kurt Eisner, Ernst Toller and Eugene Levine – leaders of the Bavarian Soviet Republic. Furthermore, the German media was owned by Jews, the Social Democratic Party was led by Jews, and the German bankers were, for the most part, Jews. Jews set the agenda of the German nation and the influence these individuals had was used, in many cases, to undermine the German nation. This movement among the Jews is not new. From the days of Spartacus-Weishaupt to those of Karl Marx, and down to Trotsky (Russia), Bela Kun (Hungary), Rosa Luxembourg (Germany) and Emma Goldman (USA), this worldwide conspiracy for the overthrow of civilization and for the reconstitution of society on the basis of arrested development, of envious malevolence, and impossible equality, has been steadily growing. It played a definitely … recognizable part in the tragedy of the French Revolution. It has been the mainspring of every subversive movement during the Nineteenth Century; and now at last this band of extraordinary personalities from the underworld of the great cities of Europe and America have gripped the Russian people by the hair of their heads and have become practically the undisputed masters of that enormous empire. This suspicion of Jews and their influential role in subversive activities was based on experience, and was a common concern in not just Germany, but most of Europe at this time. And the suspicion was not lessened when the most powerful Zionist organizations in the world declared war on Germany, in the name of Judea, on March 27, 1933, one week after the National Socialists seized power. The declaration of war – and it was the Jews themselves who called it a declaration of war – was about a worldwide economic war against Germany in order to economically destroy Germany. A Germany that already had enormous financial problems, where people were both starving to death or taking their own lives because they could not feed their families. They would be frozen out through, among other techniques, a boycott of German goods. Jewish organizations organized a variety of anti-German meetings held continuously until 1945, and gathered tens of thousands of Jewish sympathizers. The largest meeting assembled 55,000 Jews at Madison Square Garden in March of 1933. The pictures we have all seen of the Germans boycotting the Jewish shops in Germany was a response to the worldwide Jewish boycott against Germany. It was a symbolic action and lasted just one day, on April 1, 1933. Jews at Madison Square Garden on March 27, 1933. 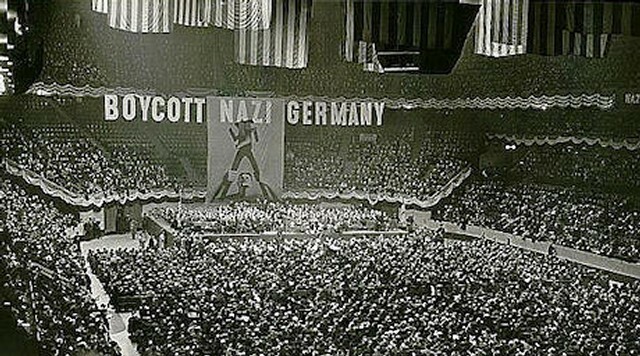 These Jewish meetings are what prompted the boycott in Germany. So even if you do not sympathize with this perspective, there was, in any case, a reason why there was a suspicion of Jews in Germany, not only from the National Socialists, but from many other Germans as well. The fact that the Jews in Germany lost their citizenship, and their opportunities to own the media and so on, were decisions that were fully legal, and were intended to permit Germans to determine the political conditions in Germany. The “Holocaust” is a propaganda hoax, but the reality that Jews were placed in concentration camps with the eastward expansion of the war is indisputable. One can have opinions about this today, but there was a war, and Jews were perceived as potentially hostile to Germany, and many of those who sat in the camps did, in fact, fit this description. The treatment of a people in a collective manner was also not in any way unique to Germany. The American President Roosevelt published a series of orders, which defined Japanese, German and Italian citizens as “enemy foreigners”. There were 110,000 American citizens, who happened to have Japanese ancestry, who were incarcerated in American concentration camps because they were “enemy foreigners”. Fredrik Ingblad has argued that, “National Socialism is based on racial hatred, racial persecution and extermination.” This is a false claim. National Socialism is based on racial survival and the right of all races and people to exist and live in peaceful coexistence with one another. Germany’s attitude towards the Jews was based on experience and has nothing to do with ideology. The “Holocaust” is a scam – at least according to us – and we would never praise it if it had actually taken place. When we call Hitler a folk hero, there can be a multitude of reasons why we do so. That we praise Hitler’s social achievements just days before the article calling Hitler a folk hero, makes it quite obvious that these social achievements are what we intend to praise. “Guilt by association”, “argumentum ad populum” and “fact interpretation” are rhetorical tricks and a weak means by which to argue that we mean something other than we do. Ingblad has not either been able to explain why he or “the people” (argumentum ad populum) should be granted the right to interpret what we mean when it comes to our ideology. Prosecutor Ingblad with a paper-toting assistant from the Attorney General. Now I would like to move on to the question of criticism of Zionism and the statement “Death to ZOG”. In this instance, Ingblad makes use of his same rhetorical tricks where he claims that Zionist “actually” means Jewish and where the expression promoting the destruction of a small Zionist elite that rules the world “actually” is an expression that promotes death to all Jews. If we begin with Zionism, the definition, according to SAOL (The Swedish Academy Glossary), is given as this: “Jewish national movement aimed at strengthening Israel.” The problem here is that many Zionists want to strengthen Israel at the expense of others. This is not simply our judgment. There are some Christian groups and Muslim groups, factions of the New Age movement, large factions of the left and, in fact, groups from all ranges of political camps, who agree with us. Moreover, there are many Jews, mostly Orthodox, who are against Zionism and view it as a mockery of the Jewish religion. So, already, the argument that the term Zionist is equivalent to Jew, is baseless. The concept of ZOG refers to the Zionist influence in the Western countries, as well as their exercise of power on the global scale. And even here, Ingblad claims to believe that what we mean is that ZOG consists entirely of Jews. But here, Ingblad abandons the definition of the term as defined by the man who coined it, Eric Thompson. He says that most of these Zionists are, in fact, non-Jewish. In the US, it is particularly clear that those who support the Zionist power-wielding elite are mainly non-Jews. They mostly belong to the Christian right or the neo-conservatives, and hold allegiance predominantly to the Republican party. In Sweden, the Liberal Party is the closest we have to a Zionist party, with many open Zionists as members. That there might be a Zionist power-wielding elite with influence over Western governments is emphatically rejected by Ingblad as belonging to the category of “conspiracy theories”. Professors Stephen Walt and John Mearsheimer of Harvard University and the University of Chicago respectively, believe differently. 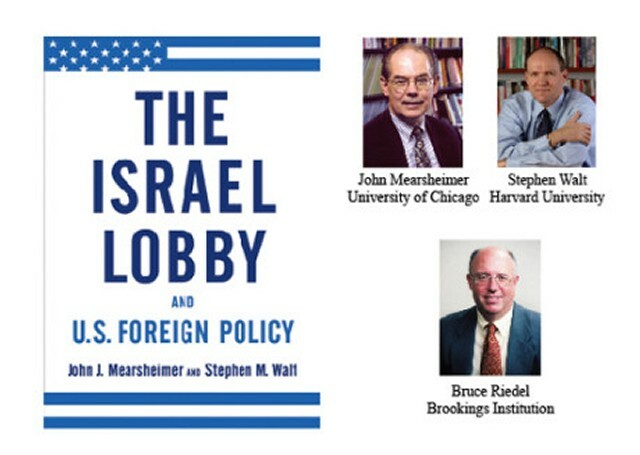 In a controversial report, The Israel Lobby and U.S. Foreign Policy, the professors claim that there is a Zionist lobby in the United States who oversees American foreign policy and leads it in a pro-Israel direction to the benefit of Israeli, and not American, interests. This is achieved by activities, including but not limited to, providing multi-million dollar contributions to presidential candidates and through the “manipulation of the media”. According to the research of these two professors, it was the Zionist lobby that drew the US into the Iraq war in 2003. Pressure from Israel and the Lobby were not the only factors behind the US decision to attack Iraq in March 2003, but they were the critical elements. Some Americans believe that this was a “war for oil”, but there is scarcely any evidence to support this claim. Rather, the war was motivated, in large part, by a desire to make Israel safe. During this war, hundreds of thousands of Iraqi civilians died, but other numbers speak of nearly 1.5 million Iraqis who have died or been killed as a result of the war. And all this because a powerful Zionist lobby was prepared to incite a war to support their own Zionist interests. Although “Death to ZOG” is not a slogan I use myself, I still believe that it is correct and just to use the words “death to” when referring to a powerful lobby that manipulates a nation to wage war against another nation for their own interests. It would be equally wrong if another lobby with such extreme influence over the world were to be Chinese, Swedish, Brazilian or otherwise. Finally, I would like to cite one last thing that shows how truly ill-founded Ingblad’s case is. In his speeches, Ingblad has spoken about racial laws which lead to racial persecution which lead to extermination. And, as I have said, apparently the Nordic Resistance Movement is supportive of racial laws, racial persecution and extermination because we have expressed ourselves in a generally positive way about Hitler. Ingblad himself apparently holds the interpretation rights as do “the people”. But the Palestinians’ life is not only restricted by barbed wire, concrete and machine guns; the civilian Israeli authorities exercise a different kind of control. They can require, for example, that the Palestinians must have permission to travel – not only to Israel or abroad, but to Jerusalem, other towns in the West Bank or just to the neighboring village. The Israeli authorities determine how much water the Palestinians are allowed to use, where they are allowed to build schools and houses, and they control the whole of the Palestinian business community. In 1975, the UN General Assembly passed a resolution which stated that Zionism is equivalent to racism and racial discrimination. The background to the resolution could be attributed to the Zionist state of Israel’s treatment of Palestinian residents in the country since its founding in 1948 through the use of racial laws and racial discrimination. Israel, thus, has racial laws and, in Israel’s case, it has actually led to exactly what Ingblad says racial laws will lead to – racial persecution and genocide. Racial laws that oppress other races are not something we want to introduce, but this is how the racial laws in Israel have been applied from their inception. 1. Should it then be considered “hate speech” to pay tribute to Israel, wave the Israeli flag, and call Ariel Sharon a folk hero? 2. If we approach this using Ingblad’s unwarranted “Argumentum-ad-populum” style of argument, this would of course be “proof” that those who advocate for Israel are committing “hate speech”. In fact, in Sweden, where a probable majority of the population views Israeli policies with criticism, the words racial persecution, colonialism, apartheid and genocide come to mind when they hear the word Israel. And what these people think must then be taken into account in a court of law. I have, today, attempted to explain what we really stand for and how absurd these charges are. But more importantly, I have attempted to show how dangerous they are in the context of a constitutional state. Now, if you plan to condemn me for a general statement that Hitler was a folk hero, a general statement that the Zionist occupation regime or a racist ideology (according to the UN) should be crushed, or the other items which work to oppress opinion, treat people differently in the eyes of the law, and that limit our fundamental constitutional ideology in Sweden – then please … do not write in the verdict that there is “no acceptable reason based on the constitution” that would permit me to go free. Admit instead that Sweden is a totalitarian state where the oppression of an alternative opinion prevails, and where the Swedish courts throw people in jail, not because of crime, but because of their political views. Stand up for it then, and do not slander the terms constitution or constitutional state. Previous articleNest 8 reporting for Duty!